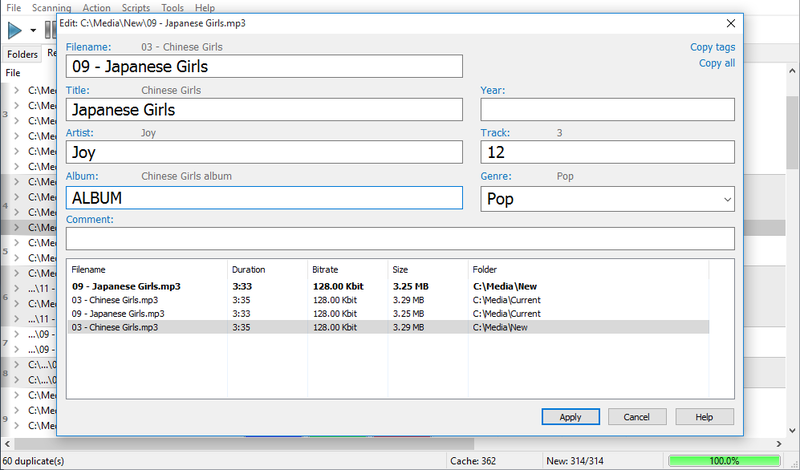 Similarity - Remove similar, duplicate MP3, music, audio files by content, tags. Check your music collection quality, remove unquality music. Organize your music collection. As an active music fan you surely know how difficult sometimes it may be to keep your music collection ordered. The more sound files you have, the more time and efforts it takes to clean out duplicates, low-quality files and purify the entire collection of musical garbage it contains. That’s where Similarity comes in handy! 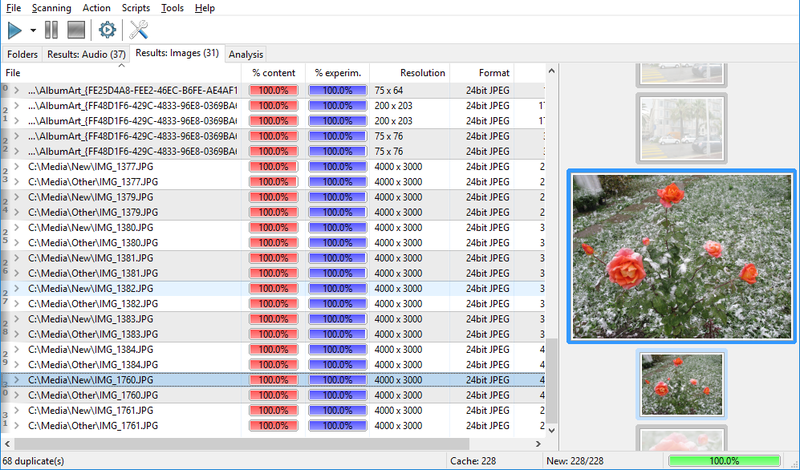 Now the program can also work with images. Enjoy wide capabilities to process this type of files as well. At this time the algorithm is in the constant improvement state, and will be much more efficient in the future also providing almost the same precision as superior audio comparison algorithms. 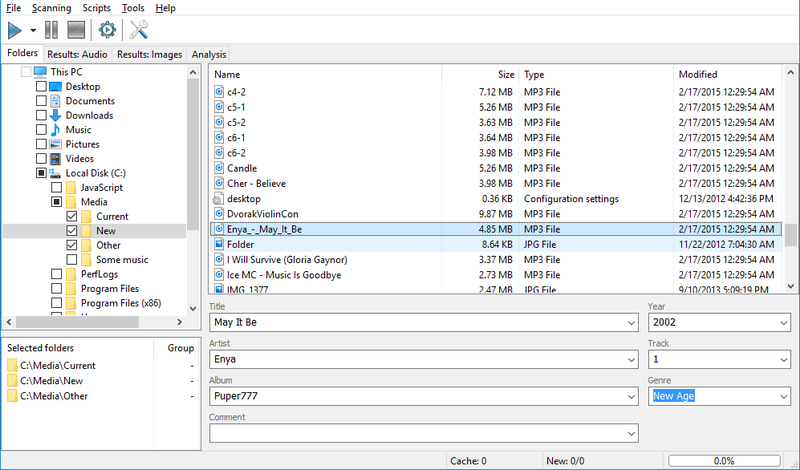 Similarity rapidly scans your music collection and shows all duplicate music files you may have. The comparison powered by "acoustic fingerprint" technology considers the actual contents of files, not just tags or filenames, and thus ensures the extreme accuracy of similarity estimation. 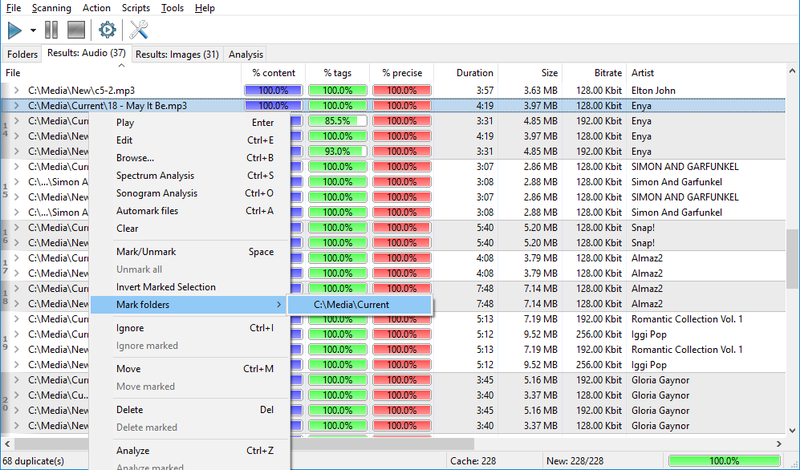 Moreover, the comparison isn’t dependent of music file format; the application supports almost every file format in full. 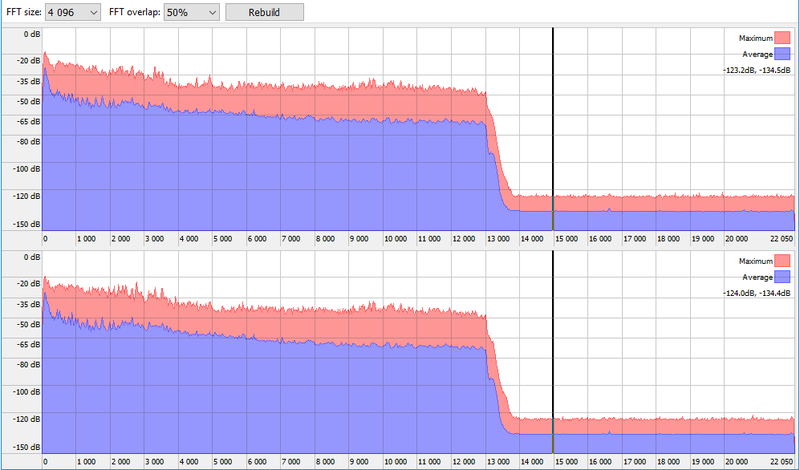 Along side with eliminating musical doubles, Similarity also provides the advanced quality control function. 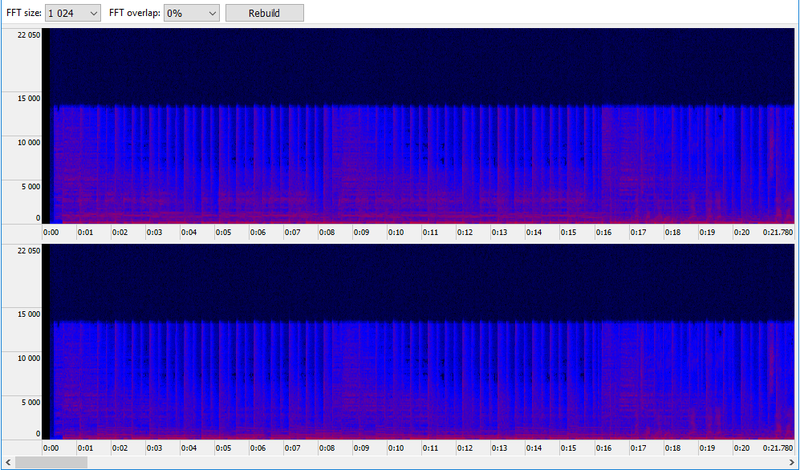 Really, who wants a collection full of low-bitrate music, badly remastered compositions and songs full of noises? 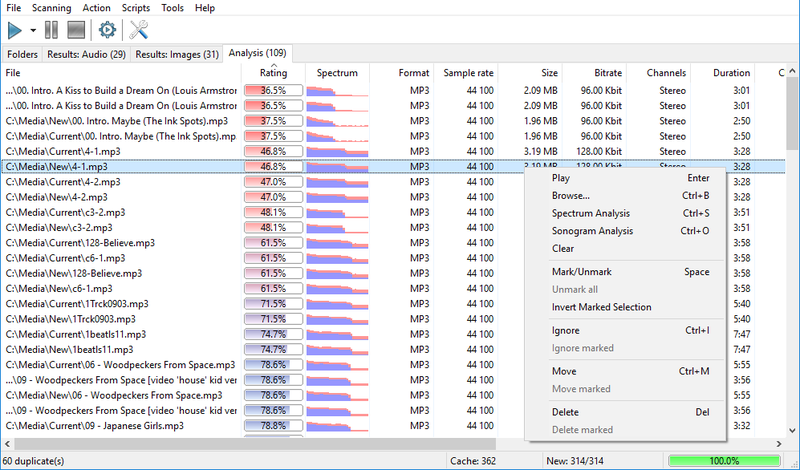 Similarity analyzes files and calculates a quality score basing on various technical parameters of that record, such as: bitrate, frequency, amplitude cut value, amplitude average value, amplitude maximum and many others. 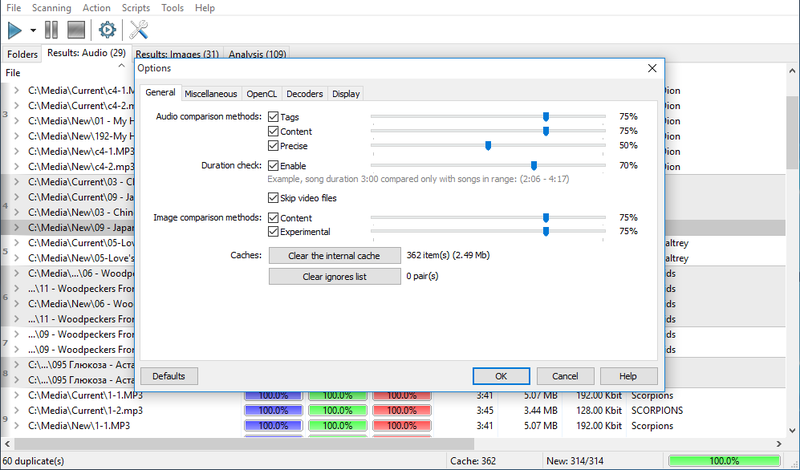 The program automatically detects all common problems with audio files and assigns a corresponding quality mark to each file. A quick sort – and you’ve got files with the highest quality at the top and files you can delete without doubts at the bottom. The program is constantly developing and improving. We already included image comparison, created a unified engine; Mac version development goes full pelt (you can already download the current Mac version of the program). Thanks to 3-level analysis Similarity offers a uniquely high level of duplicate detection. It supports MP3, AAC, M4A, WMA, OGG, WAV, FLAC, APE, WV, MPC, OPUS, TTA formats and is able to find similar compositions among all of them. In fact, the list of supported formats is truly unlimited due to the support of third-party codecs. 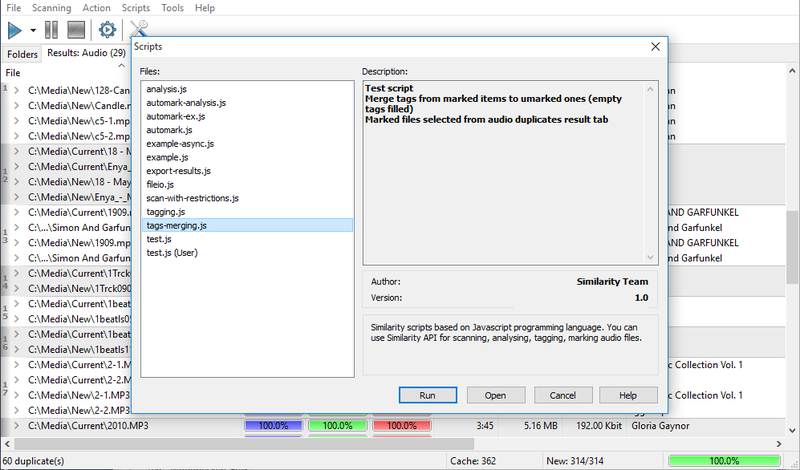 Similarity has a built-in tag editor, a spectrum analyzer, a sonogram analyzer, an automatic tag converter, acceleration of computing with the OpenCL technology (supports modern nVidia and AMD video cards) and many other cool features. Finally, Similarity speaks on your language! Currently available languages are: English, French, German, Spanish, Russian, Czech, Bosnian, Estonian, Italian, Danish, Indonesian, Korean, Dutch, Brazilian Portuguese, Polish, Greek, Chinese. Regardless of its vast functionality, Similarity is still surprisingly easy to use. Clear and intuitive interface guides you through the entire process. You select a folder, click the Start button, and the program does the rest of the work! The best thing about Similarity is that its main functions are available for free!